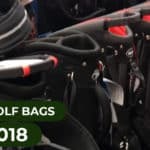 While Callaway has long been recognized for their great work in the area of game improvement irons, they have also produced some of the best golf clubs for great golfers. 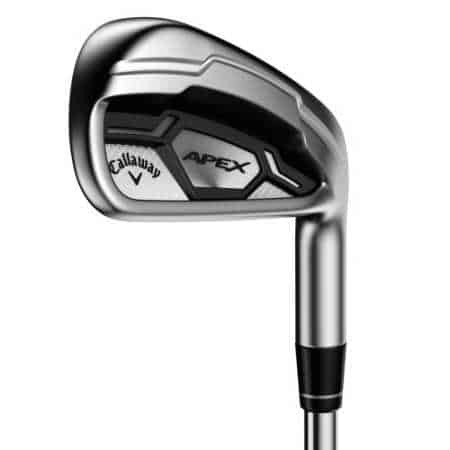 The Callaway Apex CF 16 golf irons fit into that category, these golf clubs are built for high performing golfers. These “players’ irons” feature a clean look and forged construction. 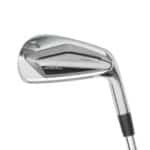 These golf clubs occupy a popular ‘middle ground’ in the market, as they are not nearly as large as many game improvement irons, but they are a bit bigger and more forgiving than a set of strictly blade irons. Purchasing a set of the Apex line of Callaway golf irons will provide you with a high-end quality set of golf clubs that you can play for years. Let’s get into the details. If you’ve played a set of game improvement irons, you know that those kinds of golf clubs can only take you so far. While they’re the best golf clubs for improving your game as a high handicap player, they have their limitations. And eventually, they will prevent you from hitting certain kinds of shots. This is not the case with the Callaway AP CF16 irons. 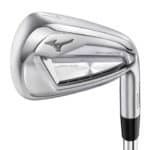 Thanks to the compact design of the clubheads and the golf club’s focus on feel, you play these irons as a mid-handicapper all the way to a single digit handicapper. As your game improves, you’ll discover that you can hit more and more shots without having to buy new clubs. These irons aren’t going to hold you back. Single digit handicap golfers tend to think of blade irons as a badge of honor. Blade irons are a statement that golfers don’t need the forgiveness offered by many modern designs. While it’s tempting to jump into the world of classic blades, very few golfers need to play them. We recommend trying a set like this if you think you’re ready to make the jump. 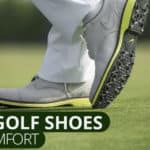 These golf clubs offer much of the same great feel you will find with blades, yet they have forgiveness to make up for some of your minor mistakes. At address, these clubs look beautiful from the top, and you can’t even tell that they have any kind of cavity behind the sweet spot. With minimal offset and a classic look, the Callaway Apex CF 16 irons are likely to impress players with a wide range of skill levels. One of the reasons many skilled golfers turn to blades is due to their forged construction. Forged clubs tend to feel softer than cast irons, all other things being equal. However, you can also enjoy the forged feel with the Apex CF 16 golf irons, even though they aren’t technically blades. 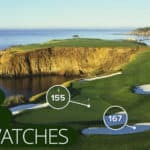 When you hit a quality golf shot, you’ll be rewarded. The ball flight off of these clubs is piercing and shaping shots is easier than with a set of unforgiving blades. 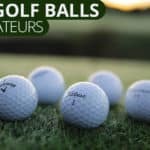 If you’re ready to purchase a set of golf clubs that can hit tour quality shots, these may be the best golf clubs for you.